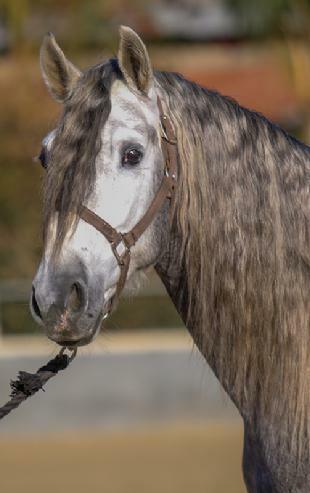 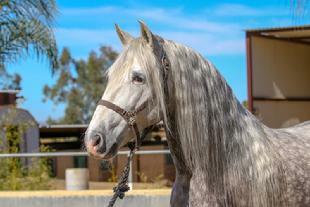 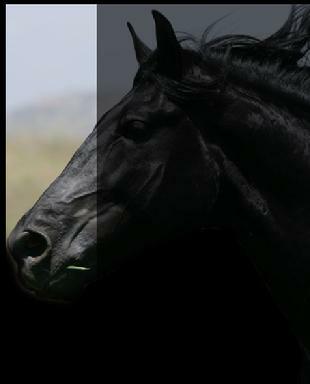 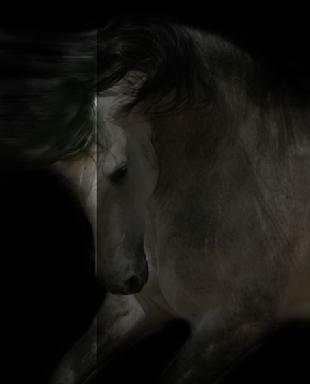 A Multi National Champion PRE Stallion Heterozygous gray, with numerous coloured offspring. 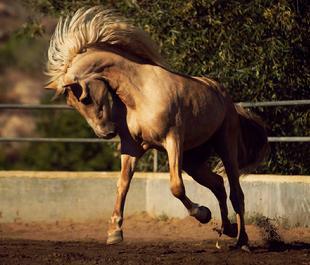 He is the Quintessential Spanish horse with the movement to satisfy the most discriminating Dressage rider. 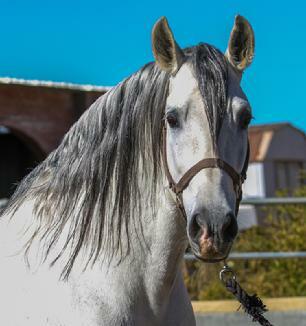 He was imported from Spain and has been revised as approved breeding stock with the Jefatura de Cria Caballar (Spanish Stud book managed by LG-ANCCE). 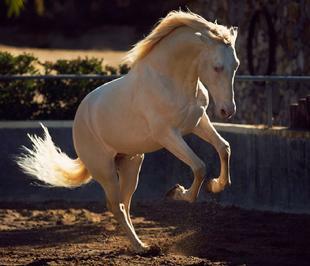 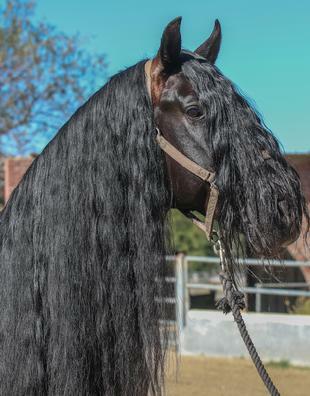 The unique trait of Uco is that he posesses 100% of the bloodline of the Carthusian horse thought to be the purest of purity of the PRE horse. 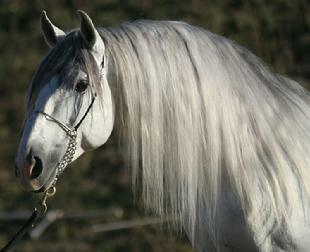 Revised as approved breeding stock with the Cria Caballar/LG ANCCE. 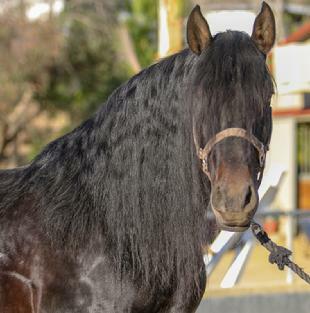 Ebano has a kind and trainable temperament that has translated into being a Stallion that excels at "Caballos Bailadores". 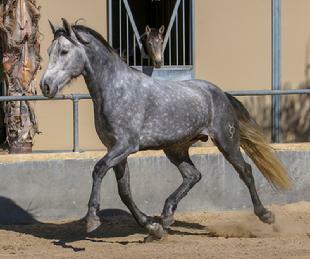 Ebano was a top 5 winner of the Piaff competition at Feria del Caballo Espanol. 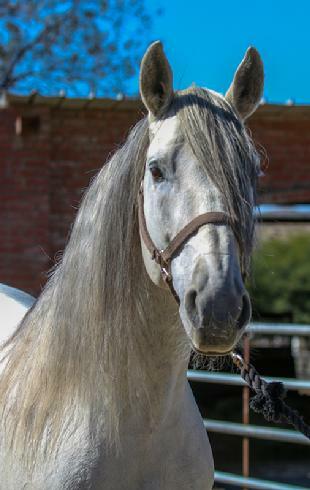 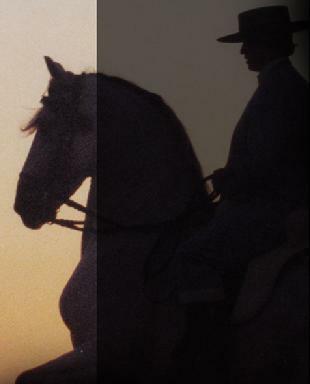 Mariscal XXIV - 1994 gray stallion (Gondolero III - Fulana III) We are sad to anounce the passing of Mariscal XXIV; However, his legacy continues on with his bloodlines here at the ranch. 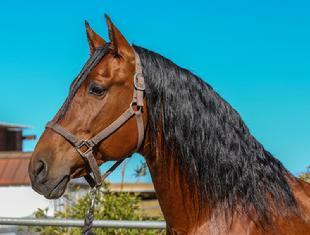 Extraordinary, with a Royal temperament, a horse that was destined for greatness. 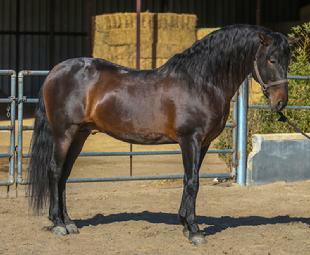 He is a two time National Champion of Spain in Alta Escuela. 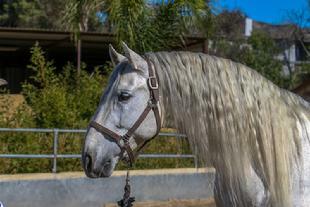 Ridden by Juan Matute, Mariscal XXIV was confirmed in Grand Prix Dressage movements. 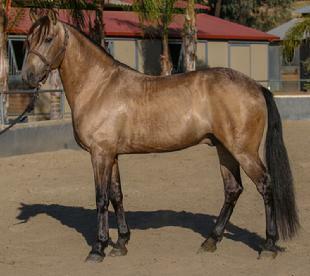 He was imported from Spain and has been revised as approved breeding stock with the Cria Caballar.